to have a balanced finance system that supports – not threatens – the real economy, jobs and growth in a sound and safe manner. The trees were center stage Wednesday in Congress at a hearing of the Senate Banking Committee supposedly on “accountability” at the Financial Stability Oversight Council (FSOC or Stability Council). It was all about how the FSOC’s rules and procedures were going to impact this firm or that industry. It totally ignored the forest of FSOC accountability to the American people as the critical early warning system to prevent future financial crises…until Better Markets’ President and CEO Dennis Kelleher gave an opening statement calling out these issues and lighting up too-big-to-fail Goldman Sachs, Morgan Stanley, AIG and others who were bailed out. It is a must-read opening statement! When we think about the Stability Council and accountability (the supposed topic of the hearing), we think of accountability to the American people; accountability to the tens of millions of Americans thrown out of work; to the tens of millions who lost their savings, their retirements, their homes and much more. We ask: is the Stability Council doing enough, fast enough to protect the American people from known or potential threats to the financial stability of the US? Yes, deliberatively, thoroughly, and carefully, but the focus has to be on identifying those threats and responding to them. Protecting the American people has to be the highest priority, not the complaints of a firm, industry, lobbyist or lawyer. 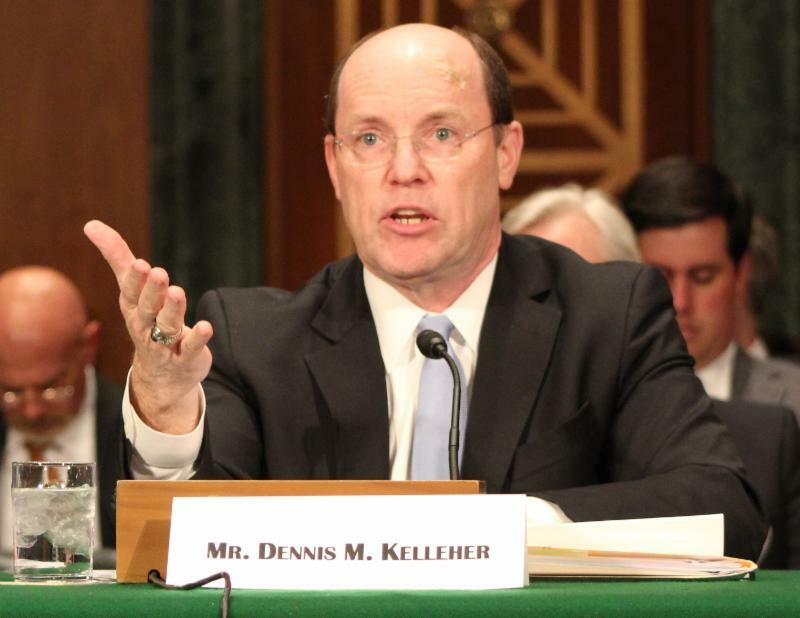 In his written testimony, Mr. Kelleher detailed why FSOC was created, the importance of its mission, its recent efforts to improve transparency, and reiterated why calls for cost benefit analysis are misleading. You can read his written testimony here. Focusing Congress’ attention on America’s retirement crisis: On Tuesday, Senator Elizabeth Warren and Congressman Elijah Cummings held a joint forum, “Ending the Retirement Savings Drain and Improving Economic Security,” the second in a series of forums as part of their The Middle Class Prosperity Project. This forum focused on the Department of Labor’s (DOL) proposed rule to protect Americans saving for retirement, a common sense proposal that requires brokers and other financial advisers to act in their clients’ best interest rather than their own personal interests when providing retirement investment advice. The event focused on the importance of this proposal and the real damage done to the millions of Americans currently investing their retirement savings with financial advisors who are not required under the law to look after their client’s best interest. Not everyone who gives retirement investment advice is taking advantage of their clients, since many advisers do act in their client’s best interest. But, because the law does not require them to do so, far too many do not and, according to one conservative study, that’s costing $17 billion. Shockingly, that’s the amount of money in the advisers’ pockets acting in their own interests rather than in American’s retirement accounts if they had to act in their clients’ best interests. That’s why Better Markets has joined six other public advocate nonprofits in an effort to close this loophole and help provide retirement security and dignity to every single American. Because Wall Street, it’s lobbyists, allies and lawyers are fighting ruthlessly against this rulemaking, this group has created a website, saveourretirement.com, to provide up-to-date information and resources for the public to stay current and involved in this fight. More bailouts: Why Wall Street loves the Republican budget: Every time it falls upon Congress to pass a budget, wall street can be counted on to try and insert special interests and giveaways that benefit their bottom line. We saw this last December, when JP Morgan CEO Jamie Dimon personally urged members of Congress to vote for a provision in the “CRomnibus” spending bill – written by Citigroup lobbyists – to repeal a provision of the Dodd-Frank Act called the “swaps-push-out” that prevented risky derivatives from being insured by taxpayers. The provision ultimately was included, and the spending bill was signed into law. It was a victory for Wall Street at the expense of Main Street. This time Wall Street’s and their allies in Washington are going after the Orderly Liquidation Authority provision in the Dodd-Frank Act, a direct response to the chaotic failure of Lehman Brothers. This provision is designed to prevent another round of taxpayer-funded bailouts by empowering the FDIC to take over a failing institution and temporarily support it, but to then liquidate over time in an orderly fashion so that it does not cause panic and collapse. Afterwards, the FDIC is required to recover any funds expended from the financial industry. Repealing this provision is another step to returning us to the days that lead to the 2008 financial crisis. It would lead to another series of bailouts of Wall Street’s biggest too big to fail firms and send a message that no matter how big the risks they take, the American taxpayer could be forced to bail them out all over again. That is sadly their goal in this provision, as it has been in the past. The American people cannot afford to repeal this provision and return to the days of Lehman Brothers. US regulators must require the meaningful public disclosure of the relationship data of financial institutions: The Federal Reserve Board announced its proposal requiring banking organizations to include existing Legal Entity Identifiers (“LEI”) on certain regulatory reporting forms earlier this month. Global Legal Entity Identifier is an international initiative launched by the Financial Stability Board to establish a uniform global system for legal entity identification. The Federal Reserve Board’s proposal is a good step to catch-up with the broad regulatory adoption of the LEI elsewhere, but the lingering question is still here – when will US financial regulators require meaningful public disclosure of the relationship data of financial institutions? Without the full public transparency of relationship, ownership, control of market participants, the financial fraud, market manipulation and regulatory arbitrage will be a persistent reality of our financial markets. Help us fight for the public interest in our financial markets and protect Main Street from Wall Street.